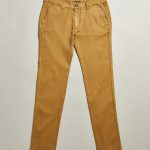 The Bellfield Patron men’s chinos are created in a stretch cotton twill fabric for a classic design. They have a skinny fit and have been made with an overdye effect, resulting in a more intense overtone of colour. The Patron chinos are traditional in style but modern in appearance, with the skinny fit suiting a variety of social occasions for the season. 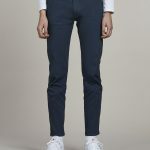 The Bellfield Patron men’s skinny chinos are created in a stretch cotton twill fabric for a classic design. 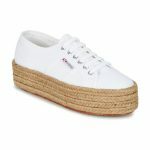 They have a skinny fit and have been made with an overdye effect, resulting in a more intense overtone of colour. The Patron chinos are traditional in style but modern in appearance, with the skinny fit suiting a variety of social occasions for the season. Part of a special collection in collaboration with French ANP artist Benjamin Jeanjean comes the RVCA Jeanjean Tigre T-Shirt. Influenced by the Surrealist movement, Jeanjean’s analog approach is his antidote to a ever more digitalised world. Jeanjean’s artwork features as chest and back prints on this 100% cotton tee in Standard Fit, with screened inside neck.